How hard it is to fight a foreclosure depends to a great extent on where you live. 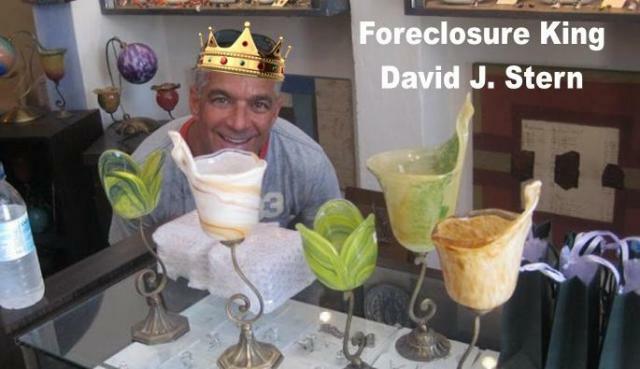 If your state requires the foreclosing party to sue you (this is called judicial foreclosure), then it’s easier (and less expensive) to jump into the existing lawsuit. If, in your state, foreclosures proceed without court supervision (nonjudicial foreclosure), then you’ll have to bring your own lawsuit—a more worky and costly process. Because nonjudicial foreclosures proceed outside of court, you’ll have to file a lawsuit to get a judge’s attention. And you’ll have the burden of proof because you want the judge to stop a proceeding—the foreclosure—that is already authorized by the mortgage. Fightforeclosure will provide extremely helpful guidance if you choose to do this yourself, or you may hire a lawyer if you wish at a more costly price. Unfortunately, litigation in which an attorney’s services are used is always expensive when you have the burden of proof. So unless the lawyer thinks you have a very good case, you may not want to bother with a lawsuit. If the only basis for your challenge is that the foreclosing party made a technical procedural violation, you’ll probably gain only a few weeks of delay even if you win, but if you follow the well crafted causes of auction in fight Foreclosure defense package, you have a better chance of stopping foreclosure in its tracks. To get your day in court to challenge a nonjudicial fore­closure, you must sue the lender and the foreclosing agent (typically, the trustee). In the lawsuit, you ask the court to enjoin (stop) the foreclosure proceedings until a judge can hear your reasons as to why the foreclosure shouldn’t proceed. Your application for a temporary restraining order (TRO) must convince the judge that you will suffer “irreparable injury” if the judge doesn’t stop the foreclosure immediately. Because you will lose your home if the foreclosure is allowed to proceed, most courts accept that a foreclosure causes irreparable injury. TROs are typically granted without a formal notice or hearing, which means the foreclosing party may have only a day or two of notice in which to prepare a response. If no response is filed, the judge may well grant the TRO, but require you to post a bond to protect the foreclosing party from economic harm in case you lose. A bond can be costly, assuming you can get one at all. You might be able to get the bond requirement waived if your income is low enough. * the lender’s interest in pushing ahead with the foreclosure can be protected by some other method, such are requiring you to make reasonable monthly payments during the course of the lawsuit. The TRO will typically last until the date set for a hearing on whether the court should issue a preliminary injunction—which would stop the foreclosure pending a full trial on the matter. A hearing on the preliminary injunction is typically held between ten days and two weeks after the TRO is issued. * the injury that you would suffer from the foreclosure outweighs the injury that the foreclosing party is suffering by not getting paid (called balancing the equities). If the judge decides these issues in favor of the foreclosing party, the TRO will end, and your lawsuit will be dismissed. But if the judge decides these issues in your favor, then the judge will issue a preliminary injunction. The preliminary injunction may order the foreclosing party to take corrective action—for example, by issuing a new pay-off statement and giving you a chance to reinstate the mortgage. Or it may simply keep the TRO in effect. Because it often takes a year or two to bring a case to trial on a permanent injunction, getting a preliminary injunction is pretty much equivalent to a victory for you. Typically, the foreclosing party will either attempt to reach a settlement with you, drop the current foreclosure and begin from scratch, or meet any conditions laid down by the court and then go back into court asking that the injunction be lifted. The burden is on you to prove that the foreclosing party didn’t comply with state laws or the terms of the deed of trust. You meet this burden with the documents you file—typically, declarations or affidavits from you and various witnesses that establish the facts you believe entitle you to stop the foreclosure. For example, if you contest the accuracy or legality of the fees the foreclosing party required you to pay to reinstate the mortgage, you would attach a sworn statement to your application for a TRO or preliminary injunction, setting out the facts as you know them. If the foreclosing party produces documents that contradict yours, then you will need to convince the judge at the pre­liminary injunction stage that you deserve to have the fore­closure put on hold until you can produce your full case at trial. Because most preliminary injunction hearings don’t involve live witnesses, your paperwork may have to carry the day. Instead of seeking a TRO or preliminary injunction to delay the fore­closure sale until you can have a hearing, consider recording a “lis pendens” and filing a regular civil complaint attacking the foreclosure. A lis pendens is a simple document providing notice to the world that title to the property is a subject of litigation. As long as it is on record, any sale of the property can be undone if your lawsuit succeeds, because the buyer had notice of the controversy. Also, no title company will insure title to property subject to a lis pendens. When attempting to foreclose on your house, the lender must comply not just with your state’s laws and the terms of your deed of trust. It must also comply with the due process requirements of the United States Constitution. * You must have an opportunity to question the legality of the foreclosure proceedings before a neutral magistrate. By agreeing to a nonjudicial foreclosure (as a practical matter, you have no choice) when you get a loan, you give up a fundamental due process right: the right to an evaluation of the foreclosure’s legality by a neutral magistrate before a foreclosure sale. To challenge a nonjudicial foreclosure in court and come out successful, you almost certainly will needs a well crafted package like Fightforeclosure.net package. Because people facing fore­closure are almost always strapped for cash, lawyers are often unaffordable. For that reason, for many people, the ability to file an action in court challenging a foreclosure is only theoretical. Is the entire nonjudicial foreclosure scheme even constitutional? I don’t think it is, but the courts say otherwise.